Enjoy the fun this New Year in stunning Vienna. Adorned with twinkling lights, a joyful atmosphere welcomes us to the Austrian capital. Explore the city with a guided tour and enjoy some time out on the outskirts before partying into the early hours! Just a stone’s throw from the metro, we can easily head into the city to sightsee. 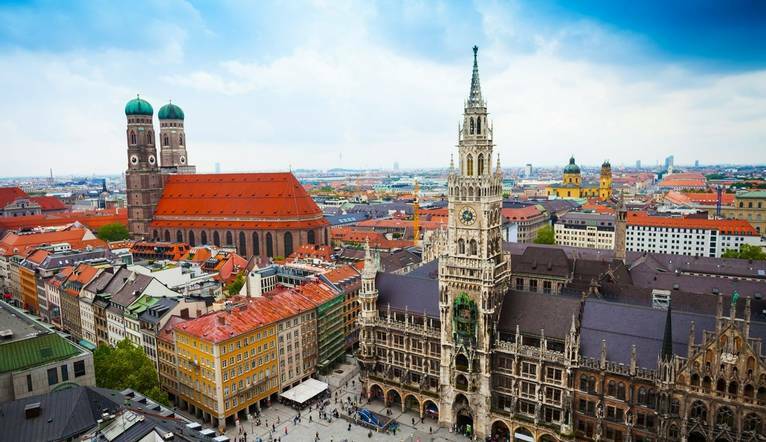 Encapsulating this city of music and arts, our half day city tour passes some of the most significant sights of the Ringstrasse such as the State Opera, Kunsthistorisches Museum (Museum of Fine Arts) and Museum of Natural History, Hofburg Palace (former Imperial Winter Palace), Parliament and City Hall. With time at leisure, we can stroll the city and delve into its history and imperial grandeur, or even cosy up in a coffee shop with a slice of delectable Sachertorte! We have included a 1 day Vienna Card in our package. This handy card offers over 210 discounts at museums, sights, theatres and concerts as well as in shops, cafes, restaurants and the ‘Heurige’ wine tavern so feel free to explore. We also have access to free travel on the city’s efficient transport system using the subway, buses and trams so getting around quickly and easily is a breeze. Before the evening's New Year celebrations, we will head out of the city to the Cistercian Abbey of Heiligenkreuz which is still a living monastery after 900 years. Enjoy a guided tour through the complex, highlights of which include the Gothic fountain house and the magnificent abbey church. We can then move on to the historical spa resort of Baden for some free time before travelling back to Vienna for a wonderful New Year at a local restaurant, complete with fireworks! Located in an elegant residential area in Vienna's 19th district, our hotel is the perfect base from which to explore Vienna. Nestled in the Embassy district just 15 minutes by tram from the city centre, this charming and sophisticated hotel features a bar, delicious Viennese cafe, Finnish sauna and gym. Our single bedrooms all come with satellite TV, minibar, hairdryer and free Wi-Fi. The transfer time from Vienna Airport to the hotel is approximately 35 minutes depending on traffic. During your holiday, we have included a guided tour of the the city, a visit and guided tour of the Cistercian Abbey; Heiligenkreuz, free time in the spa town of Baden as well as a 1 Day Vienna Card.